Low Vision affects many people, especially seniors. Difficulty with reading, writing, watching TV, spotting objects from a distance, and enjoying hobbies is the result. 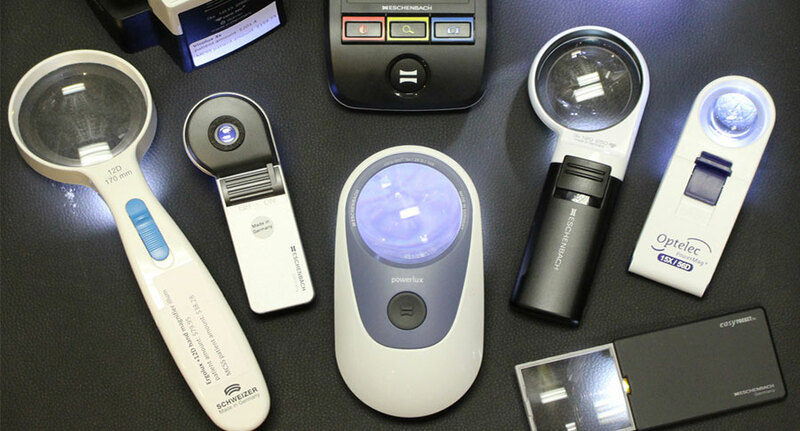 Our offices offer a variety of low vision accessories such as different types of magnifiers to assist our patients maintain a good quality of life.